Last Updated: December 21, 2009 | Subscribe to our weekly newsletter! If you have an above ground swimming pool, all that snow weights down on the cover pulling the pool walls in towards the center. This could damage the top rail, fence and walls of your swimming pool. 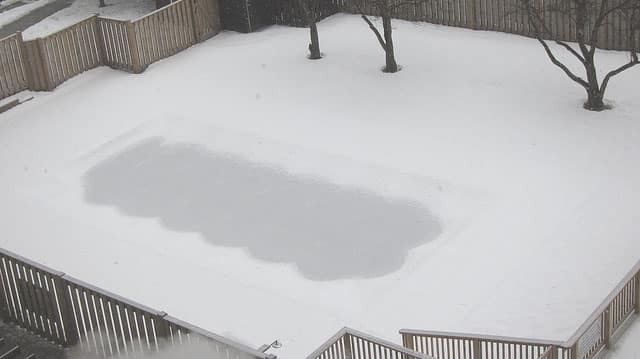 If you have an inground swimming pool, the heavy snow can cause the cover to stretch, to the point of damaging your cover. If you have an expensive mesh or solid safety cover, it’s important to make sure that the snow doesn’t pile on and rip the cover. 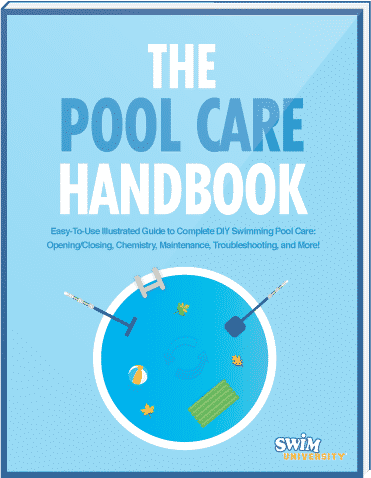 It could also pop out the cover anchors or even your pool’s coping. If you have a cheap or general plastic cover, then chances are it will be destroyed if you don’t quickly remove the snow. Let’s think about how much snow weighs. There are 7.48 gallons per cubic foot of water – that’s about 62.4 pounds of snow!!! Assume wet snow would be equal to 1 inch of rain or 5 inches of snow. This means you would get a resulting 62.4/5 = 12.5 pounds! This snow would be equal to 2.5 inches of water and 12 inches snow, you would get 62.4/12 = 5.2 pounds! Thanks wiki! Once the snow melts it will turn into water, and now you will need a pool cover pump or siphon to get the water off the cover. If you have a mesh safety cover, you will still need the pump to get the water out of your now overflowing pool. 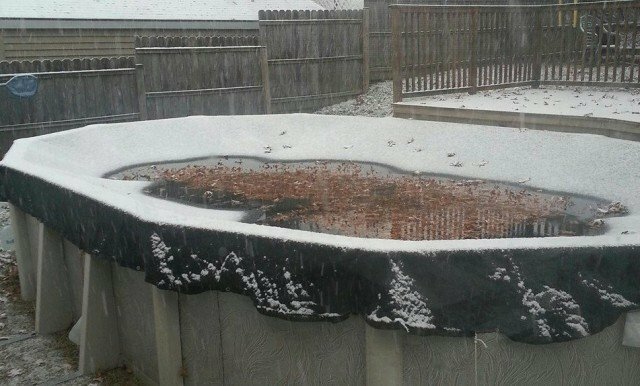 Here are a couple of quick tips on how to remove snow from a pool cover properly. Remember, that you don’t have to do this, but you risk pool damage otherwise. Use long broom and pushing the snow off the cover. DO NOT use a shovel or anything with sharp edges cause this can damage your winter cover by putting holes in it allowing the dirty water to leak through. If the snow is light in the beginning and you have a leaf blower, use that. If you use a leaf blower while it snows, you won’t build up all that snow weight.